We’ve all been there as Economic Developers. The data for our community says one thing, but we know it means something completely different. The census data may show that your community has a low participation rate, but you know that this is only because of the many seniors and retirees in your area. The census data may show a drop in population, but there has actually been a recent uptick in population numbers due to a new plant that was just added. 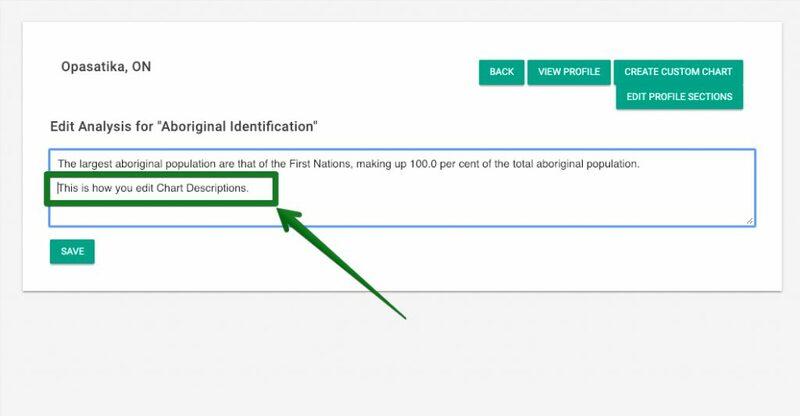 Statistics Canada can’t show it because they haven’t run the census yet. How can you communicate these unique changes in a community profile? Running your own data acquisition program is far too expensive, but loosing investments due to miscommunication is also very painful. To solve this issue, Townfolio is pleased to release a new feature called ‘Editable Chart Descriptions’. 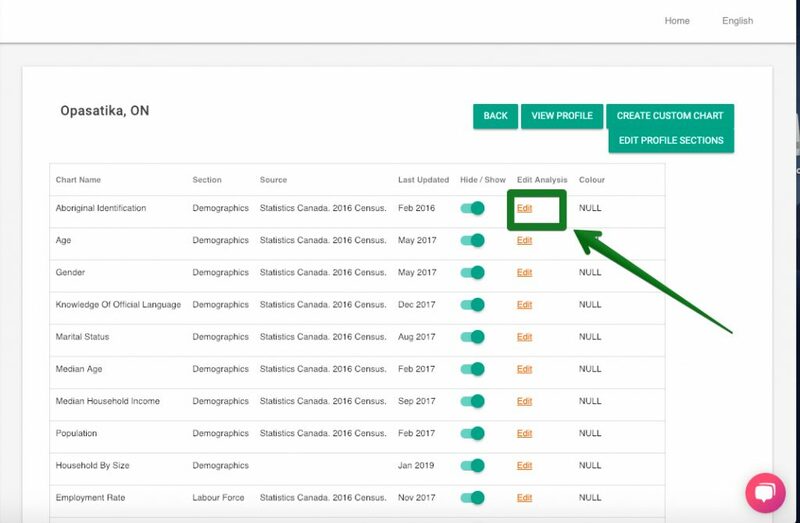 Moving forward, users will be able to edit the the chart descriptions for all charts on their Townfolio profile. This means that Economic Developers will finally have the ability to change how investors and viewers see their data. 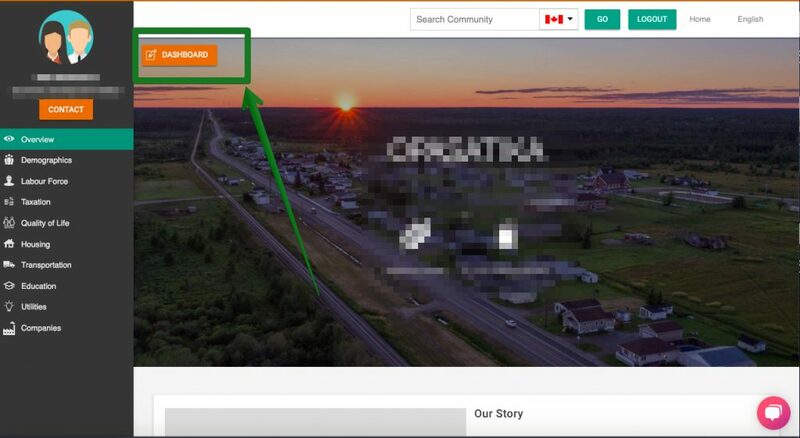 Once you log in to your community profile, click ‘Dashboard’ to get to the backend of your community profile. 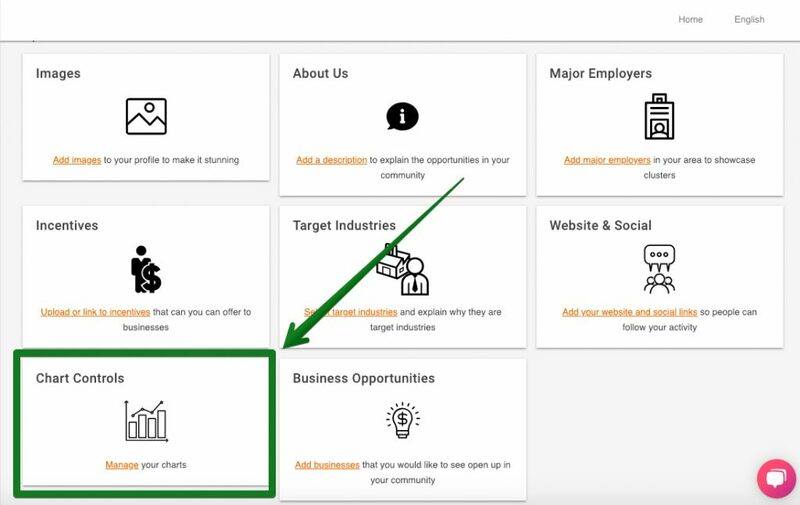 You should see the option to select ‘Chart Controls’ at the bottom left of your dashboard settings. Once you identify the chart which you feel needs a bit more explanation, click ‘Edit Analysis’. Users are not allowed to edit chart definitions because these are standard definitions released by Data Authorities.